The Texas School of Massage (herein also referred to as the “School”) has been licensed with the Texas Department of Licensing and Regulation (TDLR) since May 2003. The school strictly adheres to the Administrative Rules of the TDLR 16 Texas Administrative Code, Chapter 117. All Veterans Administration students shall adhere to the Rules and Regulations as set forth by the Veterans Administration. For such students, the VA Rules and Regulations take precedence over all those found herein. We believe our students should be comfortable while learning. That is why we have separate practical rooms and lecture rooms that are uniquely and specifically designed to accommodate various class sizes easily, while keeping in mind that we do limit enrollment to facilitate a true learning experience. Our practical rooms are equipped with high quality massage tables and changing curtains to allow for a professional and ethical learning environment. Our lecture rooms are furnished with classroom tables and chairs, many visual aids, models of the human body, wall charts, and audio/visual equipment. As an educational facility, we recognize that when you are at school for any length of time, a student break room and kitchenette are essential. Therefore, we provide a large rest area including chairs and student lockers as well as a roomy kitchenette equipped with a refrigerator, microwave, food cupboard, vending units, several dining tables, and all the filtered water you can drink. 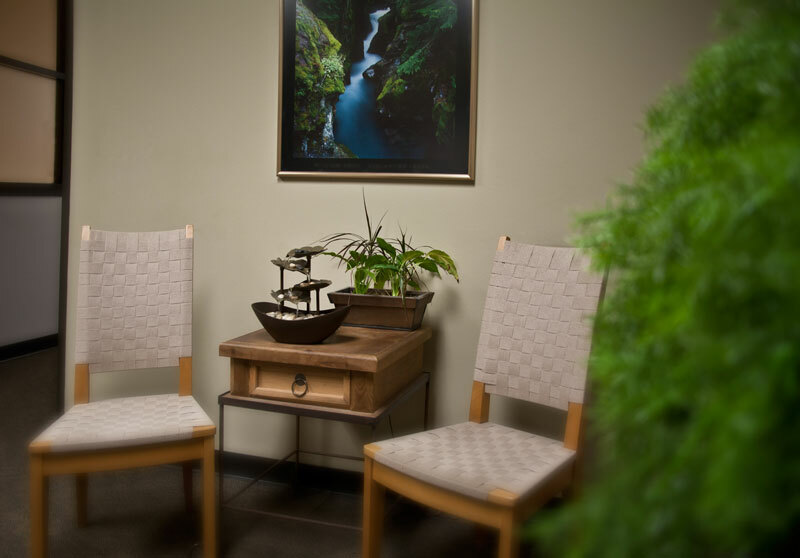 We feel it is also important to know that our treatment rooms contain the amenities that you would expect in your own private practice. Each private room is furnished with a massage table, a corner shelving unit, small stereo, fan, wall lamp, and a clock. The Texas School of Massage strives to maintain a professional, yet relaxed, learning and working environment. Our reception area and administrative offices reflect that goal with classic and appealing interior design, which sets the tone for the entire school atmosphere. We are proud of our school’s appearance and reputation for excellence and feel you will be as well. When learning massage therapy, we consider it not only important to learn technique, but also to study how to correctly utilize various types of massage therapy equipment. That is why we train our students on the “Prego” pillow, body cushion systems, massage chairs, and many other pieces of massage therapy equipment. We also provide musical accompaniment to allow the students the experience of a professional session.